Charley and I went for a walk on the bike path Friday afternoon. I needed to take some photos for illustrations in a book I’m writing and the lighting was perfect. Bruised, dark clouds covered much of the sky. Grays and blacks, blues and purples with a bit of light shining through the cracks at times. I wanted to get some pictures before the first snows arrived and covered the woodlands bordering the path. No wildlife was to be heard or seen and very few people were about. Those who happened to be out strolling, bike riding or skate boarding, made eye contact, smiled and wished us a Happy New Year. Strangers passing by, sincerely wishing us that elusive thing everyone longs for – a year of happiness. And for Charley and me, it was a Happy New Year. We were holding hands and enjoying an early winter day together. An incredible gift had been bestowed on us and we couldn’t have been more grateful. We’ve been married fifteen years, but in that short span of time, many of our January firsts together were times we could best forget. January 1, 2000, sitting in the hospital , holding my mother’s hand as she lay dying. Ensuing January’s with financial and family issues and then those January’s from 2007 to 20013 after Charley had been diagnosed with cancer. Interminable years of uncertainty, of operations, radiation and treatments to stay ahead of the aggressive cells that were intent on separating us forever. And through it all, the loved ones, the entitled ones, the ones who should have been there for us, beside us, selfishly chose instead to make our days all the more difficult with their casual cruelties – just because they could. Our fragile marriage weathered many Unhappy New Years and then a respite – 2014, a year filled with hope, followed by 2015, a year to remember and to savor. 2015! Advanced clinical trials and drugs finally bringing Charley’s cancer into remission. A Berkshire Tale written and published! Long-planned trips joyfully taken. Grandchildren being allowed to share adventures with Grandpa and their Grandpa cherishing every moment, knowing it could selfishly be wrested from him on a whim. We had no need to exchange presents this Christmas. The year itself had been our present and we rejoiced. During the past few years, we created a tradition; at first, from necessity, now from choice. Although the season is busy with family, friends and festivities, Christmas Day we share together, just the two of us. We wake and unwrap our gifts of books we’ve wanted and not bought for ourselves. We place them in a pile, to be read throughout the cold winter months ahead with a cup of tea, nestled on our couch, in our living room, with our two cats. Later in the afternoon, we go out to dinner. This Christmas, we sat in front of a fireplace at an inn by the ocean, and ate and drank and laughed and talked about how kind the year had been to us. We knew this for certain because of all the unkind years in our past. So many yings for a bit of yang. On New Years Eve, we called our family and friends. Later in the evening, we cooked a favorite meal together to enjoy in our home at our table, neither of us wanting to go out into the cold. But on this New Year’s Day, 2016, we did step outside for a while. We began a new tradition – venturing out for a stroll on the first day of the new year. We made plans for doing projects around the house. We talked of trips we would take, friends we wanted to see. We discussed the characters, local settings and plot of my newest book and the article Charley had written about his journey with cancer. We made plans for our future. As we strolled along, we held hands (we always hold hands), knowing this time together was the best gift we could ever hope to receive. Thank you, Yvette. I’ve been roaming around the neighborhood taking photos of the local settings in my mystery. I’ve made it easy on myself, because the time span in the book is November to mid-December. How are you? I’m fine, Clare, thanks for asking. What a good idea to take photos of the settings. I just wanted to say that I do believe attitude is everything. You and Charley’s attitude have been positive which must surely have helped. I’m so glad things are looking up for you guys! Beautiful, serene pictures and very heartwarming post. A lot of marriages go through cycles of ups and downs and ups and I am glad that this is the leg of up for yours henceforth. I like the positive vibes you bring forth Claremary, closing it on one of my favourite New year hits Auld Lang Syne. To many bright and beautiful moments of 2016 to you and Charley. When we think of “family”, I’m sure everyone takes it for granted that family will be the ones who are there in the hardest of times. Sometimes,(unfortunately, many times), it just does not happen. This was a terrible disappointment for Charley and sometimes very stressful for me. I became his chief advocate and that decision has made all the difference. I realize now, from this experience, how many other people are going through illnesses without the help of their children. I’ve written an essay entitled “The Giving Tree Generation” which I may never publish. But for those who have experienced this, I wanted them to know that if you have just one person for an advocate, you can both make it through the hardest of times together and gain strength from each other. Thank you, Jacqueline. Charley and I agree not to get caught up in what has become the “Holiday Crazies”. We shake our heads when Black Friday rears its ugly little head. Having married later in life, we’ve been able to shape our own traditions based on our past experiences. And placing the emphasis on quiet moments together works well for us. It makes dealing with all of things the world throws at you a bit easier.Thank you. Happy New Year, Clare! Sounds like you are off to a great start in 2016. Cheers! Peg. I’m still blogging and haven’t had that techie breakdown I thought I was destined to have. Again, thank you from the bottom of my heart for helping me through the initial stress of getting Around ZuZu’s Barn up and running.The blog is doing well, and I think I’ll keep at it for a while longer. Yes, it finally has been a good year for Charley and me. We were due! Looks like all is well at your house. (I do check in to Face Book every so often.) I would love to chat with you some time. Perhaps on a snowy, January morning? But never when Brady’s on the field! Go Pats! You are a very wise young woman and my mind is getting younger every day. At least I think it is?????? Happy New Year to you and Charley and may 2016 be a peaceful, healthy and creative year. Having been a strong “advocate” for your dad, you truly understand what that word entails. Your posts on the Goldfish were very meaningful for me. Thank you for all of the tweets and your words of support during my first year in “Social Media.” I still have much to learn! Happy New Year, Mary. Happily New Year to both of you. May the year ahead be full of all things wonderful- health,friends,and good times! Beautiful pictures and great message. Jean, I wasn’t going to post this week, but after our walk, I had some things to say to start the New Year off right. You and Jack have been our best friends throughout the years. You’ve always been there for us in the best and in the worst of times, when family was nowhere to be found. You became our family. You are in our hearts and we cannot thank you enough for the kindness and love you’ve given through those years. We’ll see you soon to celebrate the New Year together. Love, health, happiness and good friends are wished for you in 2016. Beautiful Clare! Thank you for sharing this wonderful post. Good health and happiness to you and Charley in 2016. I haven’t a clue where that is but it looks so peaceful! I live in the southern part of the smallest state, Rhode Island. It is a coastal town. 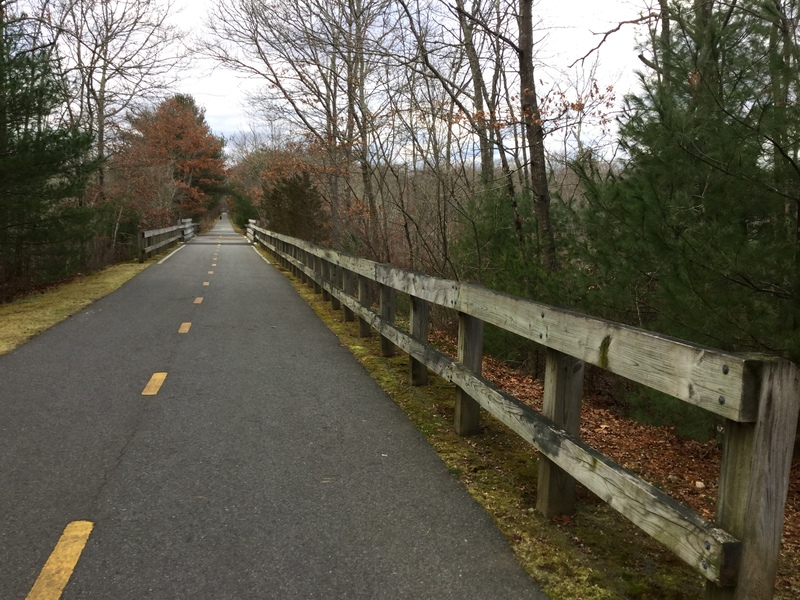 We have a bike path which was built along old railroad tracks bordering the Great Swamp,which was the sight of a very important battle during King Philip’s War (involving local indian tribes and settlers). I’ll be writing about it and some other interesting places in my town in a future post. 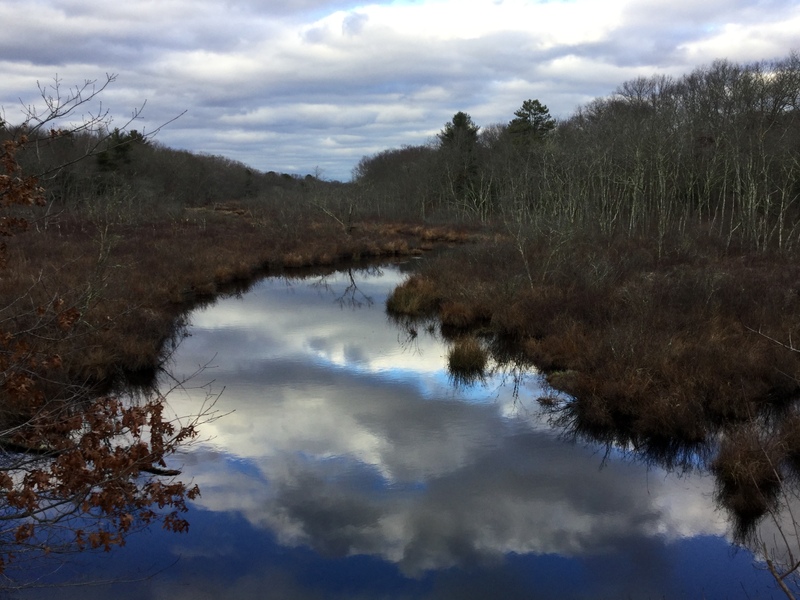 Right now I am writing a mystery book set here in South Kingstown and I will be including photos of these historic places within the book. I think it will make it more interesting. And I love taking pictures of interesting places. Happy New Year dear Clare! Blessings to you and Charley! Claremary, What a beautiful, heartwarming post. I can totally relate to enjoying the little moments , of being there for each other and how much more we appreciate them after going through hardships. You have captured such gorgeous pictures on your walk! Happy new Year to you and Charley! Although I would truly appreciate a life without hardships, I understand the whole yin and yang philosophy. But, like ZuZu, the little kitten in my book, A Berkshire Tale, I do so love happy endings!Thank you. Wishing both of you health and joy this new year, and peace and food to the kitties. Roxie loves the wish of food, ZuZu prefers peace and Charley and I love the idea of health and joy. And we all wish you the same.Happy 2016! Love your stories, knew you guys were a special couple when we met 2 years ago on the French river cruise without knowing the background stuff that we do know now. Faith and hope have gotten you thru the worst part, so enjoy this good time in your life! Beautiful and loving post. Your story definitely pulls at ones heart strings. Good health and much success for 2016. I hadn’t intended to do a post this week, but these thoughts just wanted to be set free. Thank you. I hope your year is a good one for you, too. The snow has arrived this morning and it is getting colder. Time to hibernate! I’m delighted to hear of the glorious start to this new year. May it be the first of many! I have been reading about the sense of entitlement we are engendering in generations of our children simply because we believe giving unselfishly is how to raise them. According to some research this is not helpful in developing resilience and gratitude in our kids who must learn to weather disappointment and adversity. I see my own daughter making the same mistakes I made by giving too much of material things and not enough of the things that matter like time, discipline and a sense of appreciation and respect for others. I’m not suggesting this was the case with you and Charlie, simply that I see the dilemma we face as a privileged society. Wishing you and Charlie all you deserve in 2016. Life has a way of teaching us hard but worthy lessons. Difficult situation for you Clare. But the last year has been great and there is so much hope for us and for others. Serious illnesses can be treated effectively and entitled people can mature. I have no regrets and have only gratitude for what 2015 gave us. I’ll take it! I do wish we could have a cozy conversation by the fire. I’d make you a large cup of tea or coffee or hot chocolate and we could talk for hours. In the mean time, while I’m trying to stay warm I hope you are nice and cool. Ha ha! I feel the same. We’ve a lot in common. You’re and inspiration Clare. Yes, we do have so much in common. And that’s a good thing! Hi Clare, Thank you so much for your kind remarks on my posts. I appreciate all the feedback I get. I have enjoyed reading your post today and will be looking forward to reading here again. Happy new year and what a great thing to have such a lovely year! I am so pleased that all is well with Charley! I hope this coming year will be amazing for all of you! Much love Clare! Thanks dear and lovely Clare! Touched by this post 💖💖💖 Wishing you all the very best this year! And I loved your post about Christmas Traditions. I’m glad you shook off that Bah, Humbug and got into the spirit. It has been great start to the year. Warm weather, taking my daughter sliding downhill, lots of fun in snow! Loving it! Happy New Year! I’m glad you had a good start. My mum’s in hospital since 2 January.So it’s going to be a difficult month for us all. i hope the worst is behind her and that she could start to recover. She’s already made progress:) But they still need to do a lot of tests. I must stay positive. How wonderful that your lives have now become so so full of love and happiness. I knew nothing of your past situation before, but I am so glad you can now put it behind you. 2015 was such a successful year for you, and I truly hope things continue to be the same. Beautiful photos again – and lovely descriptions to go with them. Such an appropriate title, too. Thank you, Millie. Charley and I really do appreciate this time we thought we might never have together. He’s still involved in clinical studies at Johns Hopkins and working toward a cure. He knows it can happen because I told him it will. I wanted to start this New Year on a note of hope.This past year I’ve read so many posts of people who are dealing with serious issues. They need to know it can work out well.They need to have hope. Speaking of hope- I hope that you keep visiting me because you make me smile and I’ll keep visiting you, too. All the best Clare for 2016. You and Charley are indeed fortunate to have each other! There is an area off the bike path (the path use to be railroad tracks)that leads to The Great Swamp, site of a major battle in King Phillip’s War. This is part of that swampy area. (Very historic place. I’ll write a blog about it in the summer and get more pics. Thanks! Thanks sounds like something to see. Thanks for sharing. Thanks, Jo. I put in the fact that family is not there for you some time because I realize so many people are experiencing it. They need to know that even the biggest hurdles can be surmounted with just an advocate. 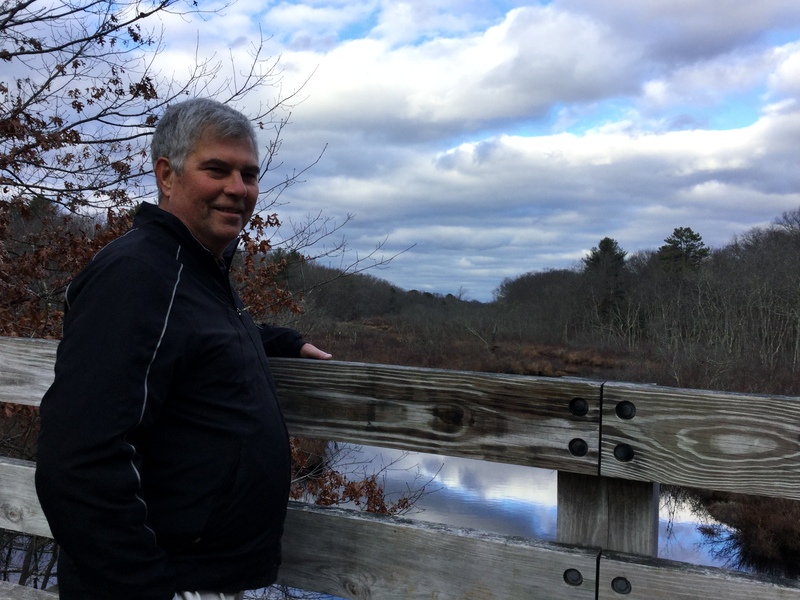 Charley enjoys lots of adventures with his young grandchildren now that he is doing so well.